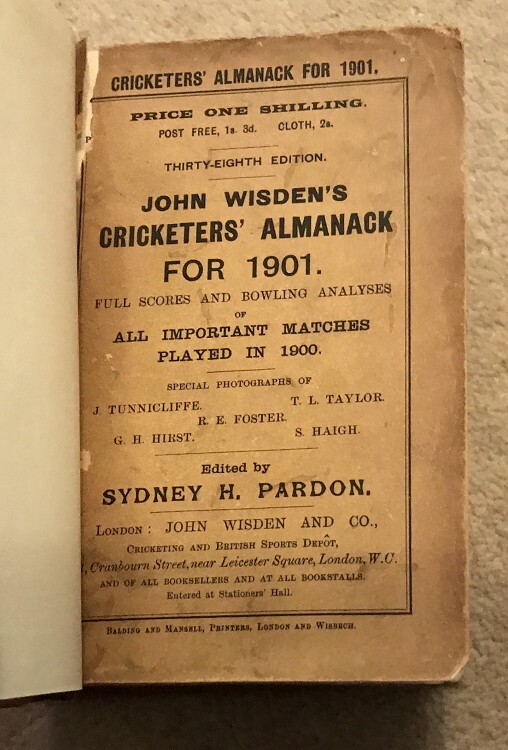 This lot is an 1901 Rebound Wisden , with the original covers bound within. This book is in OK to Good Condition and at a great price. The covers are bound within but the front cover is coming away from the binding at the top (not detached) a few small marks to the front cover the rear cover s pretty nice clean inside with nice photoplate but has a read feel and the binding is good but not the tightest.